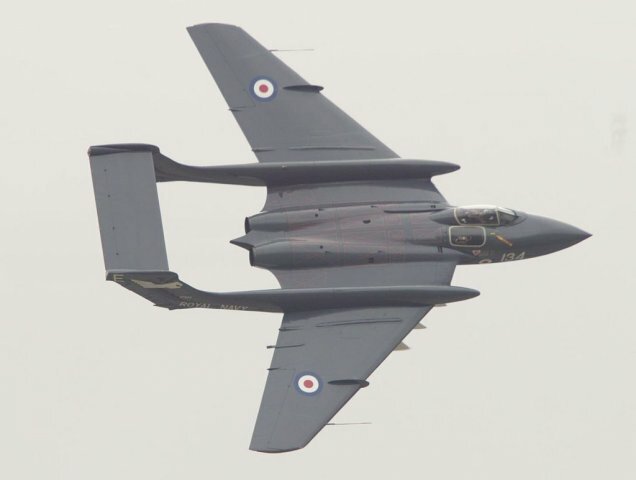 'zhangmdev' said: "...If you want two pilots, the traditional twin-boom design like de Havilland Sea Vixen is more practical and looks far better." Tell me more. The OBSERVER was in a 'coal hole' (no viz) in a SEA VIXEN with the pilot up front. the work on the T-12 did not stop and several options for aircraft layout were developed. When it became clear that there would be no engine for Kolesov’s design, it was decided to install 2 engines of the AL-31 type, but without an afterburner. The total thrust of the motors was 16 tons. The T-12 project was slightly shrunk in size, the aircraft weight was 24-26 tons, and the combat load weight was 7.2 tons. A supersonic version of the T-12 with two afterburner variants of the AL-31F engine was also considered. Note EO in all renders remains conceived as forward-fixed. Modern Sturmovik would still be envisioned to designed to dash up, rapidly acquire target with the help of second operator, and launch weapons while taking advantage of surprise afforded by signature reduction. Not so much designed to sit inside contested airspace and quarterback a la F-35. The Ministry of Defense constantly discussed the issue of the overweight of the developed “two-headed” T-12 attack aircraft. And although MP Simonov firmly defended the point of view about the need to design a large aircraft weighing up to 30 tons, it became increasingly necessary to search for the possibility of building a lighter craft weighing 18-19 tons. It is these numbers most often voiced at meetings with the military. Reducing the weight, by reducing the geometric dimensions of the T-12, seemed unpromising, although such work was carried out. Assumed version of the T-12 in the layout with two cabins, but with RD-33 motors. In fact, at the very beginning of the work it was clear that this was a dead-end branch. With this arrangement, the weight will still be over 20 tons, and the weapon bays will become small and useless, because nothing could be placed in them anyway. Only further puts into perspective the amazing achievement of the F-35's design. Last edited by lbk000 on 16 Jan 2019, 23:05, edited 3 times in total. Well as I quoted earlier, EP Grunin expressly denied any relationship between Sh-90(T-12) and Sukhoi WIG designs; Although AFAIK with how OKBs take their direction from TsAGI, as the latter always had a set of aerodynamic configurations they considered trendy at any one time, in a sense they could be related in that way. According to the people involved in the work during the work on the project, few people cared about the exact composition of weapons and equipment. Quote: "The fact is that the internal compartments were planned, but there were problems, the existing weapons did not fit, but they didn’t want to design new ones..."
Russian weapons are perennially larger than their US counterparts, or at the very least, they tend to favor larger, heavier, higher yield analogues. This seems to be biting them in the rear when it comes to designing concealed carriage designs. But who and what were they planning to fight with this old-school approach? If the initial targeting was via drone or special-forces teams and these 'Frogmouths' enter at very low level with a target fix they could pop-up to get a quick shot off. The weapons look to be short-range laser and/or IR guided. A fastjet would get quite close before the main attack weapon locks and fires. At least the wing forward sweep provides for fast turn-away, and the separate pilot allows for a better execution of a tree top level egress. Killing GBAD would be the first item of business, presumably done with the standoff missile prior to going closer, so the enemy is already alerted that you and wingmen are on their way in so alerted passive MANPADS would be scanning for pop-ups. Given this is not an ideal platform against modern ground forces (sans sufficient standoff weapons and better sensors) I’m wondering if this aircraft would fare better than a fast (quiet) turboprop, popping-up with a lighter weapon load, and doing the same things, but not getting as close, as a function of being slower with a better turn radius. The author of the sketches [Grunin] notes that it is not necessary to consider the types of weapons exactly, this is only a rough approximation of the placement of goods in the compartments. In the Ministry of Aviation Industry, the concept was named “Sturmovik 90" and was set back in 1981 along with the promising programs "Fighter 90" and "; Bomber 90". And if the promising fighter and bomber had western analogues, then the "Sturmovik 90 "was absolutely original and the Soviet designers went on an absolutely unbeaten path. What I interpret this to mean is that there was no new doctrine for this new aircraft, and so you get this creature that has no choice but to squander modern design features on an outdated strike doctrine. Back to the original topic though, I think it's likely that something similar here may be what ultimately hamstrings the Su-57. Regardless of the technical specifications of the aircraft, without a true 5th generation doctrine guiding their employment, they will forever miss the winning "X factor". lbk000 wrote: Back to the original topic though, I think it's likely that something similar here may be what ultimately hamstrings the Su-57. Regardless of the technical specifications of the aircraft, without a true 5th generation doctrine guiding their employment, they will forever miss the winning "X factor". Besides doctrine and engines, for Russia money supply is more constrained. Whereas the Chinese just keep issuing more and more state debt to themselves and are apparently content to default on their own debts to themselves, and then keep offering themselves more and more state credit. Apparently they have found a 'magic pudding' here, as you can eat all that you want, but there's always more CHICOM approved credit-pudding to be doled-out. So unless their financial apple cart is upset this mimicry will continue apace. Su-57 buy looks to be 2 airframes per year until 2025, for 13 total. If I were Russia, I'd be gearing my PAK FA/SU-57 to take on China, not the US. In 2010 there was only the F-22 to plan/design against. Now they have the J-20, F/C-31, New Stealth Bomber and Fighter Bomber to deal with. And importantly, it's right on their border/competing for export orders. The situation is rapidly deteriorating for them as a country capable of procuring advanced combat aircraft (either for their air force or foreign customers). It's increasingly clear they've hitched their cart to the SU-57, which looks more and more like a losing gamble. Way behind schedule, going to be expensive as hell and a lot less stealthy than its American and Chinese counterparts. lbk000 wrote: Well hang on there guys, let's not get carried away with the chestbeating. Sorry, but I simply don't share your "optimism" here. The more I look at that ABOMINATION the more I want to "chestbeat" on it! That thing just hurts my eyes and my brain and my 9 year old daughter designs aircraft better than that! lbk000 wrote: Remember the F-82? Yes, I remember the F-82. And I also remember that basically no combat twin-fuselage or "twin-plane" aircraft have been designed, built and entered in service since then. - That kind of design is simply crappy in overall terms which offers much more disadvantages than advantages compared to "conventional" (I would say properly designed/built) aircraft. An odd example of success - this case regarding the F-82 in the first days of the Korean War - doesn't necessarily equates to the aircraft (F-82) being an overall success (or not) or being a "good" aircraft. IMO, this could be more the case of the La-7 pilots being Rookies and/not well trained/experienced than being the case of the F-82 being a good aircraft. This would be especially true if the La-7 pilots were North Koreans (mostly inexperienced rookies) which were most likely facing experienced WWII veteran American pilots flying the F-82. mixelflick wrote: If I were Russia, I'd be gearing my PAK FA/SU-57 to take on China, not the US. In 2010 there was only the F-22 to plan/design against. Now they have the J-20, F/C-31, New Stealth Bomber and Fighter Bomber to deal with. And importantly, it's right on their border/competing for export orders. China really don't have nothing to gain in war with Russia. Parts of Russia which was Chinese ones are much less important for China then seas and oceans. That is one reason why Russia don't invest in military as they did during cold war. Chinese aren't advisory anymore and in fact Chinese became bigger advisory to US military might then Russia is and very soon PRC will overtook USSR in military might especially in naval power. So Russians have big benefit from stronger China, America need to allocate more and more military assets to counter China. milosh wrote: So Russians have big benefit from stronger China, America need to allocate more and more military assets to counter China. This is like saying 1990 Iraq had the benefit of not being the major Competitor to the US. We were tooled up to fight the USSR. When We aimed that might at Iraq, we effectively walked right over them. The same thing could happen with Russia. China becomes our biggest adversary, outstripping the USSR as you say, so the US military preps to defeat that level of threat. Russia decides to get uppity. We walk right over them because we have prepared to fight a much more potent force. element1loop wrote: Su-57 buy looks to be 2 airframes per year until 2025, for 13 total. LOL Awesome. in ten years we went from "watch this you pitiful F-22 and F-35 westerners" to "2 airframes per year"
Russia isn't on offensive as USSR was so they really don't need to match US airforce capability. China on other hand is keen to match USA and if you look Chinese running arm race even though they spend less then 2% of GDP on military. Iraq wasn't on the offensive against the US before 1991 either.